If you’ve not come across A-Z’s Worksheet packs you have a treat in store. 100 worksheets organised alphabetically – easy to use and each with the answers on the back. Incredibly useful for starters and speedy revision. 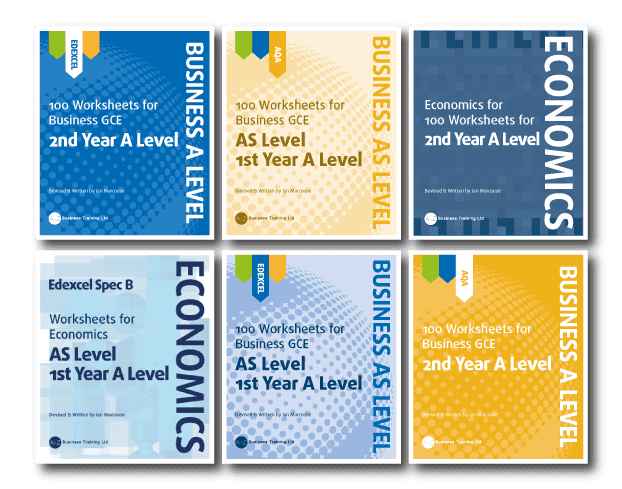 Available for AQA Business and Edexcel Business, Economics and Economics Spec B. 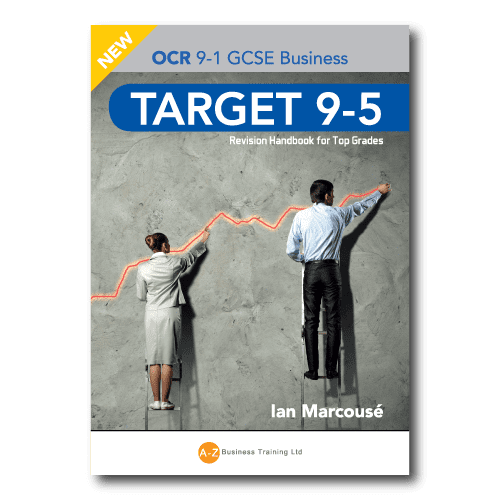 Brand new editions for GCSE 9-1 specs written & tested by Ian Marcousé, experienced author and Chief Examiner. Ideal as starter or review activities – or for breaking up a lesson with sharp, thought-provoking questions. All come with answers, fully worked where necessary. Also includes a photocopiable resource plus disk, for you to print when needed, or to network – with or without answers. 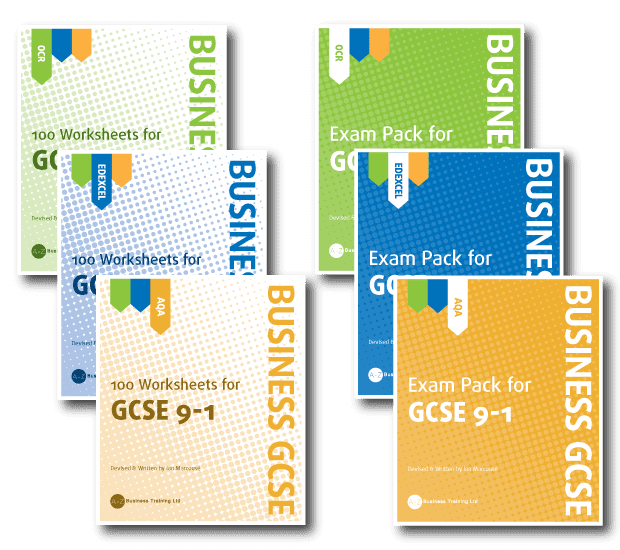 The worksheets and exam packs I have purchased for AQA 9-1 Business have been incredibly useful. With direct links to specification content, and a complete coverage of all assessment obectives, these resources have been invaluable in preparing for and delivering the new qualification as a sole specialist at my centre. Thank you A-Z! 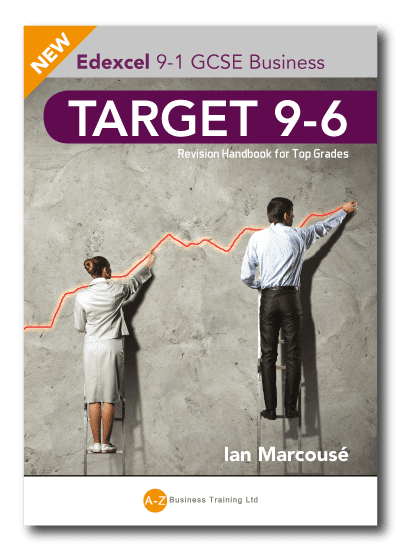 Topical Cases is a monthly email subscription service providing bang up to date Business classroom materials hot off Ian Marcouse’s computer. It has run for 15 years, with teachers finding its material a ‘life-saver’ on many occasions. Outstanding for OfSted – and for your students. After 15 years of success with (Business)Topical Cases, Ian Marcouse is giving Economics the same coverage. 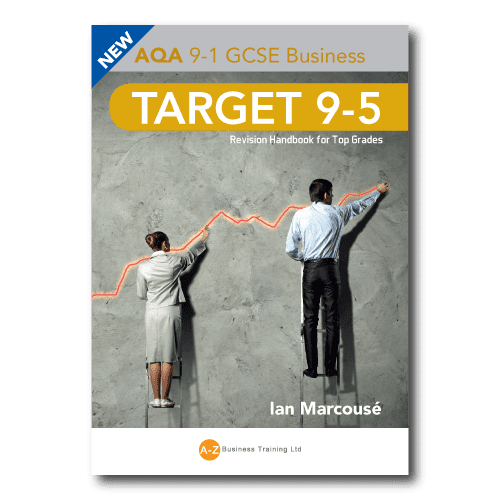 A monthly email subscription service providing bang up to date classroom materials with exam-style questions and full mark schemes. Outstanding for OfSted – and for your students.